Eat, Walk, Ride ...... Ponder: And the winner is? Well I still have my trusty R1200GS in OZ and would have loved the same here in Denmark. However, due to the very high upfront tax on motor vehicle purchases here in Denmark (ie 180% of purchase price) I could not afford the $60,000 price tag for a bike that costs 22k in OZ. Of all the test candidates it came down to the F800GT or the 700GS. The GT had my heart because of its looks but after much deliberation I decided the F700GS the best fit, best all round and most suited to my European aspirations. It made sense as Danielle has also just purchased a F700GS so it will be nice to be able to take those dirt roads together without second thought. I got a good deal from Xpedit as some one had managed to taken it for a ride in Copenhagen instantly making it a demonstrator. This and the fact its last years colour made it a bit cheaper but still has 2015 first rego and full new warranty with only 325km on the clock. I still can't quite get my head around the fact that it still costs more than a new R1200GS in OZ but I'm sure once on the road all will be forgotten. 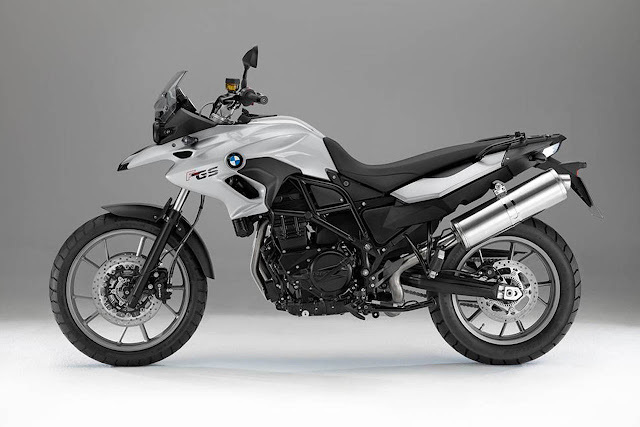 Oh and its silver so it will look just like a baby version of my R1200GS when I farlkle it with shiny aluminium panniers and crash bars etc.